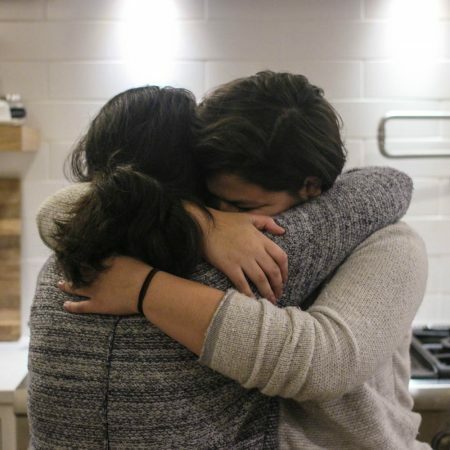 “I’m terrified of missing you growing up.” In 2000, Maria Rivas immigrated from El Salvador to the United States. A year later, Rivas received Temporary Protected Status (TPS) to stay and work legally in the U.S. TPS is set to expire for people from El Salvador in September of 2019. But if Rivas is forced to leave the U.S., she won’t risk taking her American-born children with her — and her 15-year-old daughter Emily will stay behind to live with close family friends. She sat down at StoryCorps with Emily to talk about their uncertain future, together or apart. Produced by StoryCorps. Originally aired January 11, 2019, on NPR’s Morning Edition.